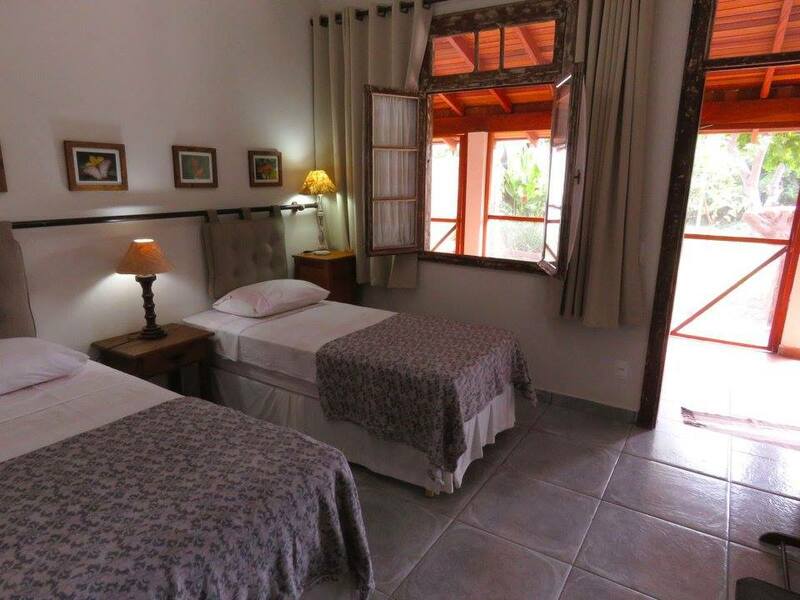 Pousada Refúgio da Ilha is an outstanding place for bird watching, and there are many different mammal species here too, including black howler monkeys, brown capuchin monkeys, Brazilian tapirs, neotropical otters, giant otters, ocelots and even jaguars. 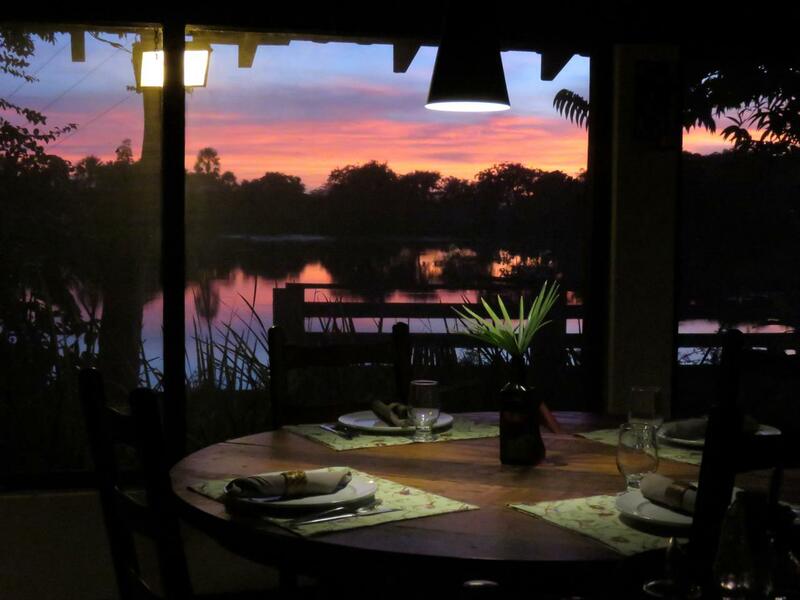 This captivating lodge is located beside the crystal-clear, wildlife-rich waters of the Salobra River in the South Pantanal. This is a narrow river bordered by beautiful and lush vegetation, making boat and canoe trips along its mysterious, meandering curves an unforgettably intimate experience. The river is bursting with fish, and with all of the animals which feed on these fish – kingfishers, herons, egrets and otters to name but a few. Pousada Refúgio da Ilha is an outstanding place for birdwatching, and there are many different mammal species here too, including black howler monkeys, brown capuchin monkeys, Brazilian tapirs, neotropical otters, giant otters, ocelots and even jaguars. An important advantage of Pousada Refúgio da Ilha is that it is so easily accessible (about a 3hr drive from Campo Grande), and yet at the same time, it is still so wild and pristine. 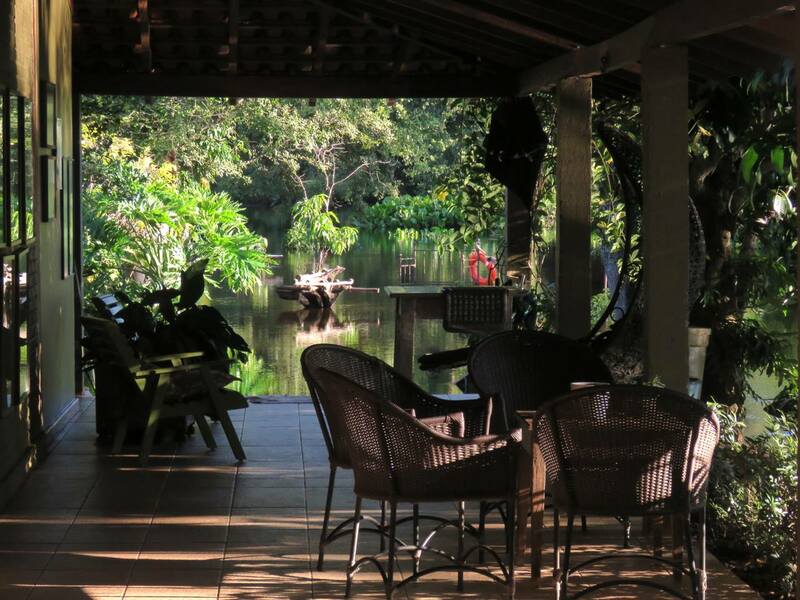 There is a beautiful garden around the lodge’s accommodation buildings, which is visited by numerous species of birds, including blue-fronted parrots, blue-and-yellow macaws and Chaco chachalacas. 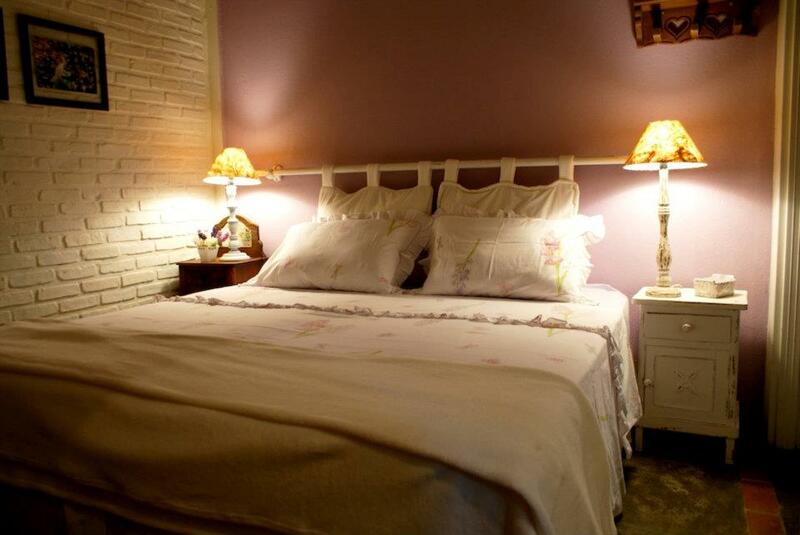 The guest rooms (8 guest rooms in total) are delightfully decorated, making them feel both cosy and comfortable. 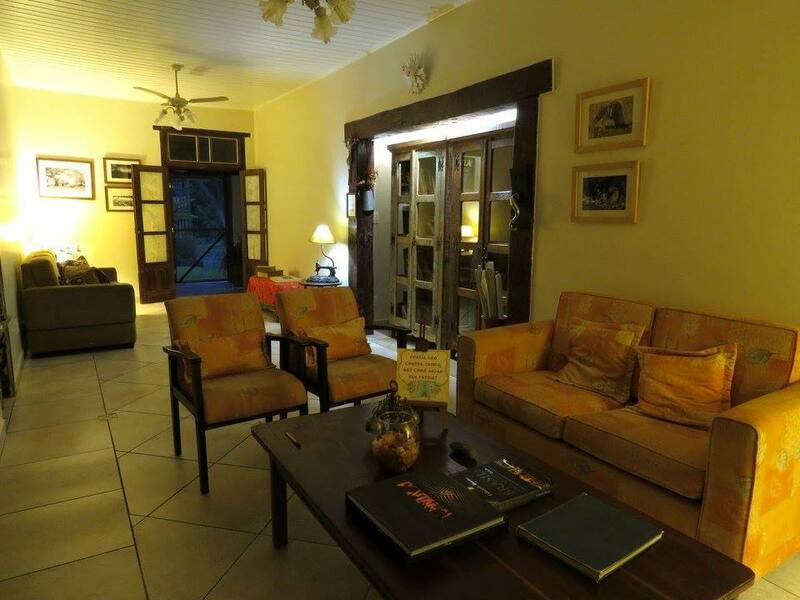 There are charming communal areas, both inside and out, where guests can enjoy the tranquillity and splendour of this very special natural environment. There is a TV room, a small library and a shop. The meals, which are served as a buffet with generous portions, are exquisite both in their variety and their flavour. There are a variety of table sizes in the dining areas. There are walking trails in grassland areas, along waterways and through forests. This is a great way to get close to the wildlife. Stable, comfortable, aluminium boats are used to navigate this beautiful river. 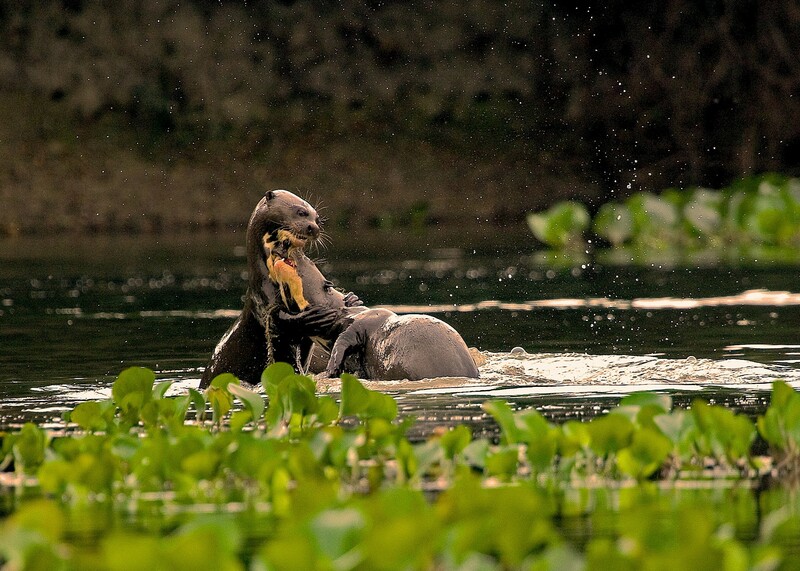 As the lodge is situated in the Salobra River Delta, there are large flooded areas around the river (which swell in the flooded season) making for incredible scenery and wildlife viewing opportunities. 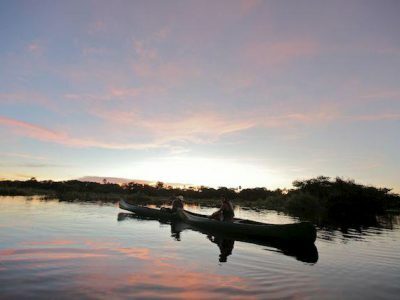 Due to the remoteness of this river, you hardly ever see a boat that is not of the lodge, making this activity all the more special and private. This is a very serene and peaceful experience. You drift with the current of the river, negotiating all of its intricate twists and turns whilst marvelling at its rich ecosystem. Fishing for piranhas in the lakes beside the lodge using bamboo rods is a really enjoyable activity. Caimans like to feed on piranhas, and they will no doubt show interest in your catch! With well-trained horses to suit every ability of rider, and using traditional Pantanal saddles, this is a great way to experience the stunning scenery and wildlife of the Pantanal, as you ride through grassland areas, on inner roads and forest trails. Using a large, open-back truck with comfortable seating, you will explore habitats different to that of the river, so providing you with opportunities for seeing wildlife often different to those viewed on the river outings. 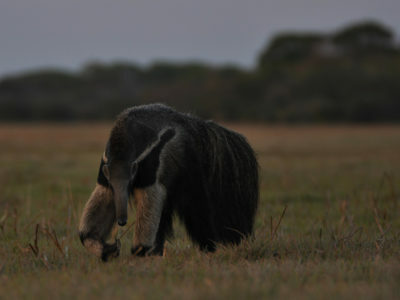 Spot-lighting once its dark provides opportunities for seeing nocturnal animals such as crab-eating foxes, Brazilian rabbits and occasionally even maned wolves. 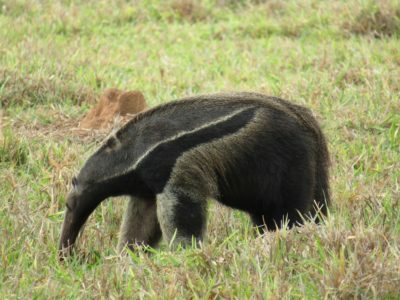 A nature expedition to remote Pantanal lodges for an unique and exciting wildlife adventure allowing you to observe an extraordinary amount of wildlife and a richness of birdlife far greater and easier to see than in any other region in the world. Pousada Refúgio da Ilha is a nature paradise on the banks of the clear waters of the Salobra River that here, divides itself in two arms forming an island. The ideal place to be in close contact with nature.